This week has been very powerful for everyone. We were welcomed into someone's home, replaced 11 windows, and met with numerous local residents whom are attempting to address issues on the reservation. On Wednesday, we met with Four Bands Community Fund Inc., an organization providing financial investments to local residents for economically sustainable business opportunities. It was a fresh perspective on how to revitalize a community struggling with many conflicting issues. On Thursday, we ate lunch at the Cheyenne River Reservation Youth Center in Eagle Butte. There is a restaurant within the youth center called the Keya Cafe, and is one of the businesses funded by Four Bands Community Fund Inc. Keya Cafe focuses on providing fresh vegetables grown on the reservation by youth, and supports fair trade products. We also ran into a Alternative Spring Break trip from Northwestern focusing on children issues. Later that night, we had very special dinner cooked by the homeowner's of the house we have been working on all week. The dish was Indian Tacos. 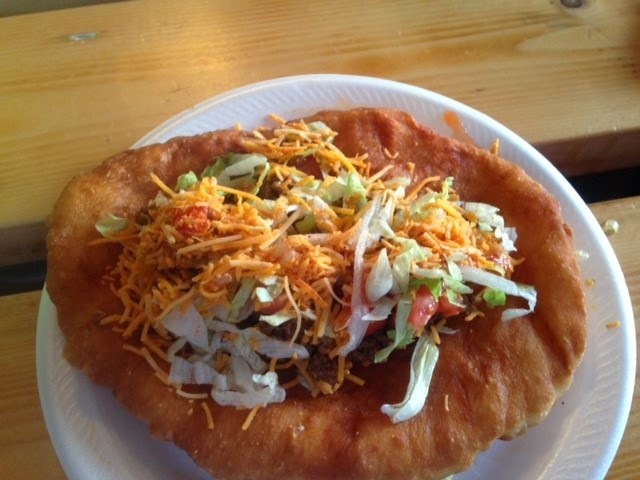 It is a Native American spin on traditional tacos, and uses frybread as the taco shell. Frybread is a sweet dough that is like nothing we have ever had before. It was a truly delicious and unique meal. It was an honor to have dinner prepared for us and made us feel at home on the reservation. After a long day on Friday, we had to say a hard goodbye to the community of Eagle Butte. 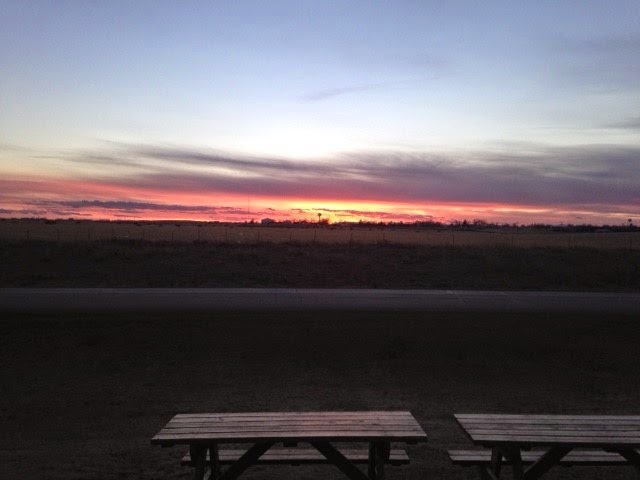 A beautiful sunset was a perfect goodbye to a meaningful and challenging week, both physically and mentally, of service. Many participants have made promises to return to Eagle Butte and continue supporting Okicipiyapi Tipi from Mizzou's campus. Tomorrow, we head out at 6am for Columbia, Missouri. We would like to thank all of our donors, the people of Eagle Butte, and Okicipiyapi Tipi for making this a life-changing week of discovery and service.